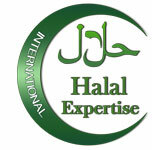 There are various Koranic verses dealing with permissible food (Halal) but also with illegal food (Haram). The Holy Koran also indicates to Muslims how to sacrifice animals that are permitted. Some verses are dedicated exclusively to the prohibition to consume pork meat or drink alcohol. The verses covered in this article are taken as they are stated in the Holy Koran; some may be interpreted differently by scholars or Muslim theologians.